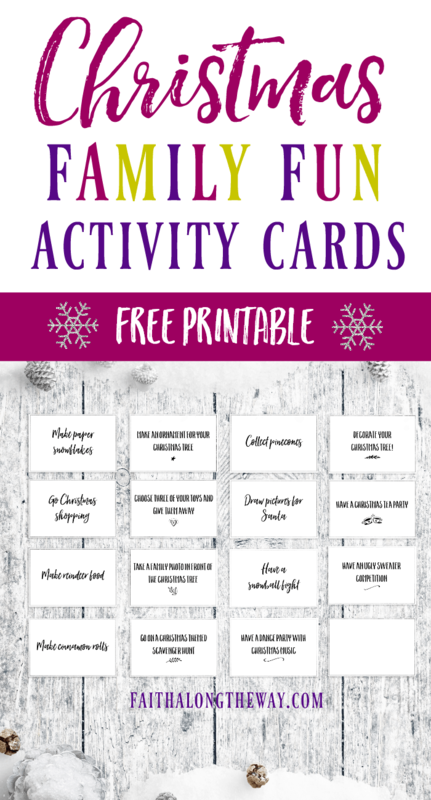 Celebrate this special season with these fun Christmas activity cards! Put them into a bag or jar and have the kids choose an activity each day leading up to Christmas. Then, enjoy spending time together as a family doing the activity on the card. There are blank ones to write your family favorite ideas on there or to focus on a Christ-centered celebration. In our house, we love to read aloud about the promise, life and ministry of Jesus, create Blessing Bags for the less fortunate, and enjoy a few simple traditions. Using these activity cards is a great way focus your holiday on family memories and celebrating Jesus as the true reason for the season! 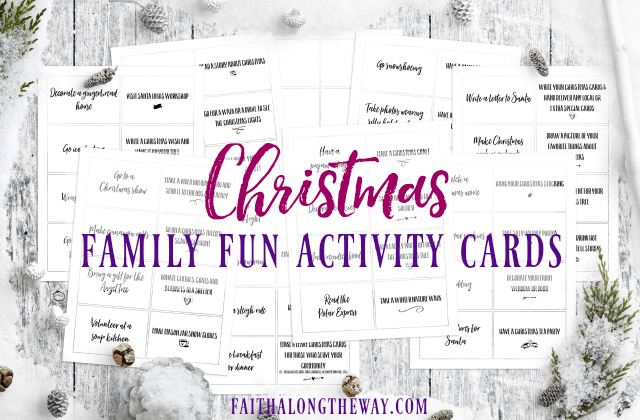 Join the Faith Along the Way community to receive instant access to these Family Fun Cards!